Basketball rat shows, in which trained rats perform for visitors, are among the most popular attractions at Heureka. 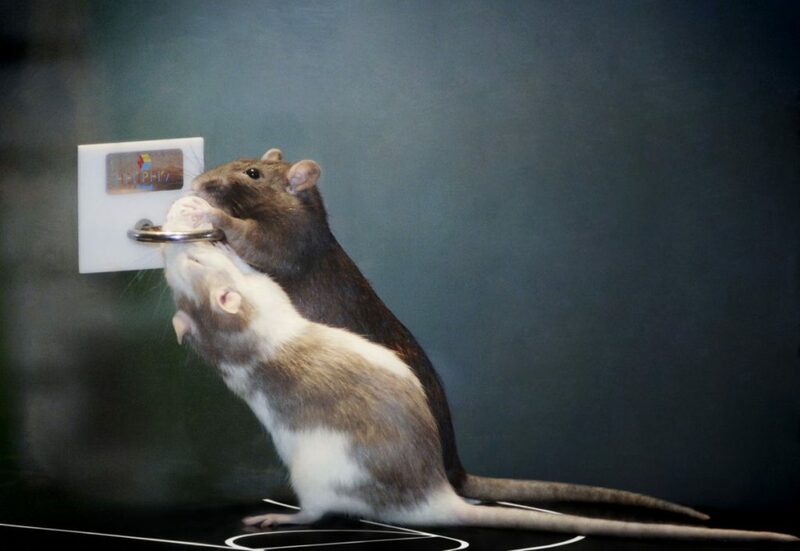 While the rats focus on their game, an explainer tells the audience how the rats are trained and about rats in general. The basketball rats perform now in a new location, at the Event Square. 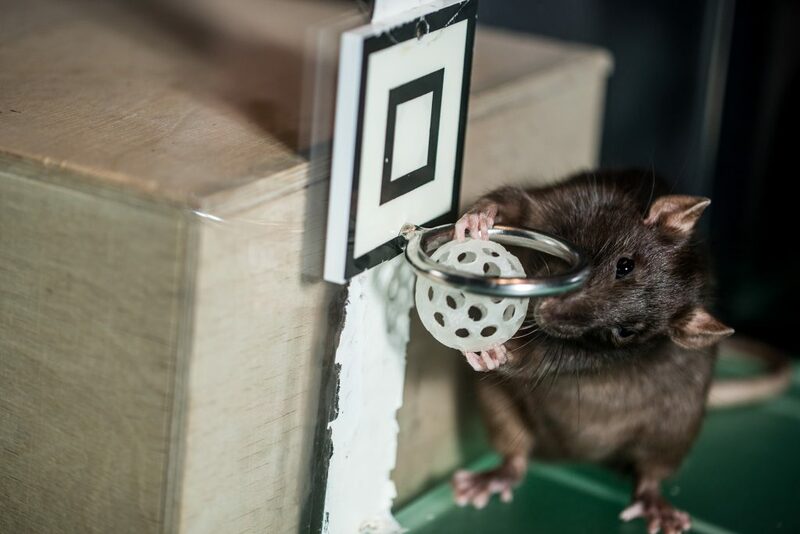 The basketball rat shows introduce spectators to how animals learn and how they are trained. The trained rats play basketball in front of an audience every day. During the game, the explainer tells the audience about the training of rats and animals in general, as well as about the biology of rats. The show also aims to increase knowledge about the right care and treatment of rats. The rats take part in the shows voluntarily. The rats are not forced to play and they can leave the court at any time during the show. Each show usually includes 2–4 rats that pick up the ball from the court, carry it to one end of it in their mouth and finally drop the ball through the hoop while standing on their hind legs. All of the movements that the rats do during the show are natural to them. For each successful basket, the rats are given a small treat, such as a grain of cooked rice. At the end of the show, spectators can ask questions about rats. The aim is to have basketball rat shows every day of the year. The shows have approximately 54,000 spectators a year. The basketball rats are trained at Heureka by guides who have received special training in the job. The training does not employ coercion or punishment. Rather, it relies on reinforcing the hoped-for behaviour with the help of food rewards and sound signals. Rat basketball started at Heureka at the end of 1995, inspired by the COSI science centre in the US. Numerous generations of rats have performed their skills in the unique rat basketball stadium. Heureka is home to about ten rats. All of the rats are female rats that live in a single pack consisting of rats of varying ages. 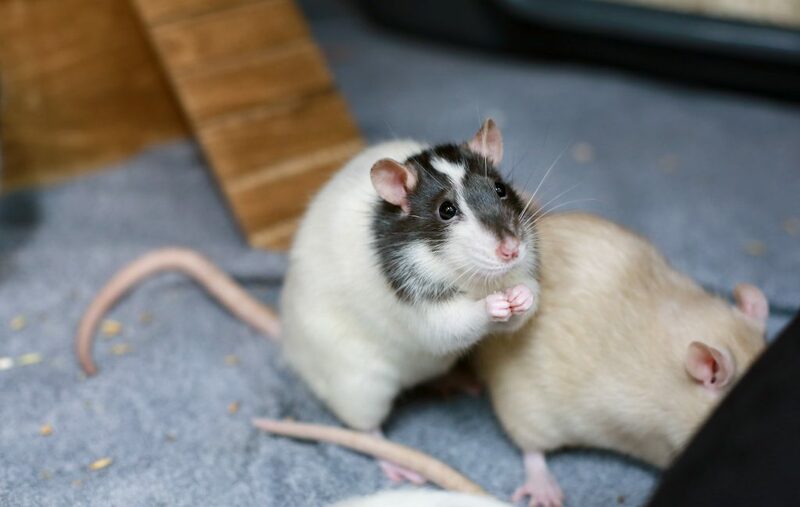 Heureka receives new baby rats a few times a year. Heureka does not breed the rats; they are procured from private breeders. The rats live in a room with windows designed specifically for them. Spectators are seated behind glass outside the room, and they cannot enter the rats’ room. The room is the rats’ home, so the idea is to keep it a peaceful place for them. During daytime, the rats are free to move about the room; they spend their nights in large overnight cages. The rats are fed and taken care of and their cages are cleaned daily by an explainer trained for this purpose. Visitors are invited to follow the feeding of Heureka’s rats. During the feeding, the rat trainer will tell the audience about the rats’ diet, habits and senses, among other things. The audience will also get a chance to ask the trainer questions. Read more about the hairy basketball stars at Heureka! How can a rat be trained to score? Who are the brightest basketball stars at Heureka? What takes place in the rats’ room after the game? The rat basketball blog written by Heureka explainers talks about what takes place in the rats’ room during the day, how the rats are trained and how their wellbeing is ensured. The blog is mainly written in Finnish.